This is possibly one of the biggest things you can do to save money on your grocery bills. Physically it’s going to take you a while so set a little bit of time aside to do it. Just think about it, how can you go shopping for groceries when you don’t know what you have in the cupboard/freezer already? I know some of my readers are nodding their heads and saying “yes I know what I have” but do you really? Do you have 3 bags of pasta because it’s the one thing you always put in the trolley out of habit? Are there more than 2 bottles of washing up liquid under your sink? For years I used to go shopping with my hubby and unpack the bags afterwards and find a packet of pot scrubs and a box of bags for making ice. He would insist we needed them and I never even thought to check because I always had a constant supply. The day I opened the press under the sink to do our first stocktake I discovered over 10 packets of each. Which meant that if we hadn’t bought these items (that we used, just not that frequently) on our shopping trips each week we would have saved €3 a week for 10 weeks. So that’s a saving of €30 over time. 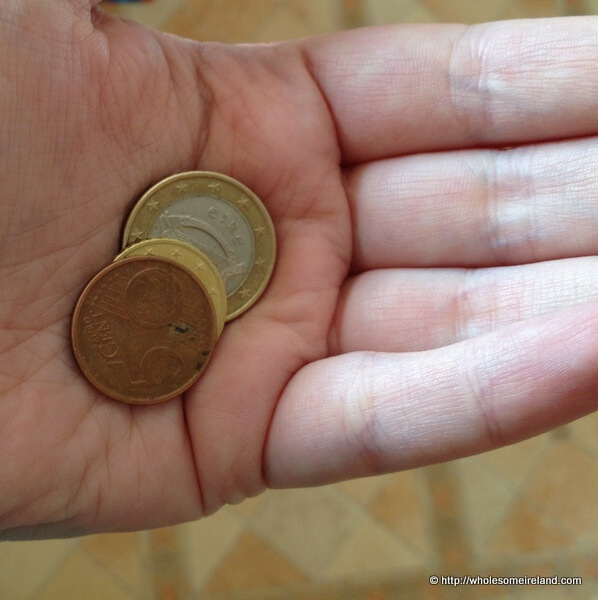 What could you do with €30? It’s a trip to the cinema for 2, meat for our family for 2 weeks, a new pair of quality shoes for one of the kids. Look you get the idea. After some feedback from readers and users of my stocktaking sheets I’ve altered them to make more space for the hoarders amongst you. Then print it off as many times as you like. I tend to do a stocktake once a month to make sure I keep on track but even if you do it a few times a year you will save money and waste less food. There’s no need to make it a chore, get the kids involved. It’s a great way to practise their writing and number skills, let them choose what they want for dinner from the cupboards when you’re done. Once you know what you have then it’s easier to work out what you need. If you’d like to see how other Irish families have got on with the stocktake, Tracy from Mammy’s Kitchen saved a fortune & found too much eggs, and the Dinner Ladies have an ingenious way of monitoring what’s in their chest freezer. If you’re a blogger and you’ve done a stocktake or will be doing one in the next month or so, drop me an email (wholesomecook at gmail dot com) with a link to your blogpost and I will add you in above. This is my second comment attempt so sorry if two show up! I have used these stocksheets before and think they’re great. Love this series. I am no longer certain where you are getting your information, but good topic. I needs to spend a while studying more or working out more. Magnificence is my goal. I am delighted that you are inspired to both study and work out more. A pleasure as always Spanner. I try to keep 1-3 of dry goods in my “pantry” and when I’m down to the last one, I put it on the shopping list. I don’t stock up further than that on a lot of stuff, though if my supermarket does a 2 for 1 or “Buy 4 for reduced price” on something like tins of tomatoes or the cereal the kid eats, I’ll take advantage of it. Yikes that is an incredible website. If I had the space I’d be stockpiling like that. Mind you we don’t have the same coupon culture here either and that helps too!